Let me make this clear- they live in a blue tub, complete with tight fitting lid, in our basement. My friend Butch gave me one of his surplus composting worm farms a while back- with one condition. 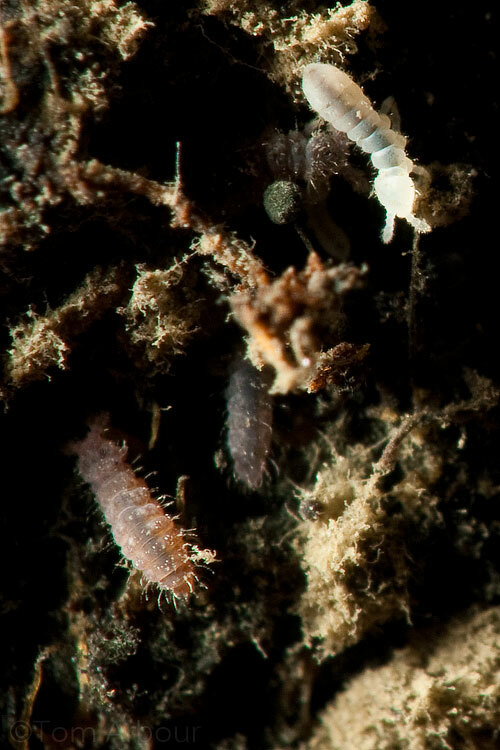 That I photograph the tiny little bugs that help out the red wiggler worms do their job. Here you go Butch. But what are they? My guess is that there are springtails, an ancient group of hexapod organisms whose classification is murky at best. 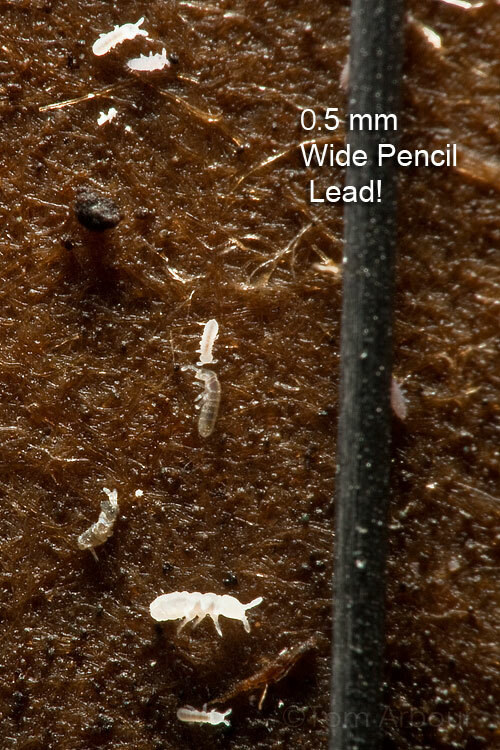 If you consider them insects, which most experts don't, they'd be in the order Collembola. It just gets more confusing from there. There is a very different looking group of springtails called the globular springtails, which I photographed in our vegetable garden last year- they're much chubbier and round. It pays to look at the details in nature- nothing is too small or insignificant to closely examine. You'll be amazed at what you find. Does the substrate that their living on look familiar? It's cardboard! I believe that they're springtails, Tom, as you suspected. In fact, in the image with the pencil, I believe that it's possible to see the "spring" on the exoskeleton on the individual in the lower left corner of the image. Scott- Very cool! I see it, i think, a little spike like thing. Thanks. Great work Tom. You got down even smaller than I thought you could. That's amazing work. They never seemed to bother the worms much, even when their the numbers were surging in cyclic population explosions. I have never seen one of them "spring". I have had spring tales in my beds before and they jump on you like flees. These little white buggers never have. Maybe they are too busy eating. I have to ask: what setup did you use to get those shots?